Wow, 76 weeks at #1<br><br>Although, most of the songs sound relatively simple, this shows the way in which contemporary and soundtrack music should be composed and delivered. This shows the real passion of music - simple sing-a-longs and songs with real meaning. 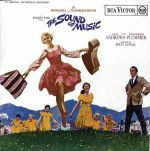 Although I haven't reviewed the songs on the album, I am confident I have heard them all as I've seen the Sound of Music so many times. 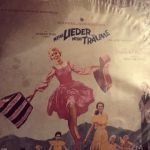 It is a brilliant movie/musical and one of my favourites of all time. The songs are very well written and are very well performed. I am happy to listen to this any day and I am glad this was very successful, it deserves every bit of credit it gets. #1 UK pendant 70 semaines. Pour moi une des meilleures BO de tous les temps.